Mashing up new ingredients into something familiar but slightly different is a great way to show kids how fun cooking can be. As a parent, this is a priority of mine in the kitchen. These Goldfish Chicken Tenders are a perfect example. All the other things you need for this recipe are basic pantry staples—flour, eggs, and of course, chicken tenders. While you could fry these, I prefer to bake them. The crackers get really crispy and form a satisfying crust, and cleanup is much easier if you bake them. If you don’t have an endless supply of Goldfish crackers in your house, like I do, you can also substitute crushed Cheez-Its, Ritz crackers, or any crispy cracker you have in your pantry. If you make brightly colored food, it’s much more likely your kids will be into it. They love color! These bright orange chicken tenders were a total delight to my kids. They had never seen anything like it and therefore loved them. I suspect the presence of Goldfish helped, too, but I can’t be sure. There are a few tips I can give you to cooking great chicken tenders. First, try to cut the chicken into even strips. They don’t have to be identical, but if you can try to get them the same thickness at least, they will cook evenly and not dry out. Second, involve your kids in the process of smashing up the crackers. Put them in a zip-top plastic bag and let them pound away with their little fists of fury. Or you can just crush them well in the bag, using a rolling pin or kitchen mallet. You want some inconsistency in texture; we aren’t going for Goldfish flour here! Third, take the time to bread the chicken tenders well. A dip in seasoned flour will help the egg and crust adhere to the chicken. And then really press on the crackers (or whatever your crust of choice is). Some crust will probably fall off while it bakes, so go heavy with it! If you have leftovers and need to reheat them, please, oh please, do not put these in the microwave. They will turn into a sad, soggy orange heap. The fastest way to reheat them is in a skillet over low heat with a little oil. That will warm them through and preserve the crispy crust. If you are reheating a large batch, you can bake them a second time in the oven for about 8 minutes at 350°F. until they are warmed through and crispy again. THE DAD ADD: MAKE A SANDWICH! These Goldfish Chicken Tenders make a surprisingly delicious sandwich. As in, I will probably only eat them in sandwich form if/when I make them for my family again. I just loaded them up on a soft sub roll with a smear of mayonnaise, some shredded iceberg lettuce, and some banana peppers. The lettuce and peppers give some nice crunch and acidity to the sandwich. So delicious! And they scarfed these down! Possibly the most interesting report came from my wife, who was very skeptical that these would be good. She tried one, squinted directly at me, pondered various other chicken tenders I’ve made over the years, tried another bite . . . tried another bite . . . tried another bite . . . never admitted that she liked them . . . tried another bite. AND SO ON. MORE BREADED CHICKEN RECIPES TO TRY! 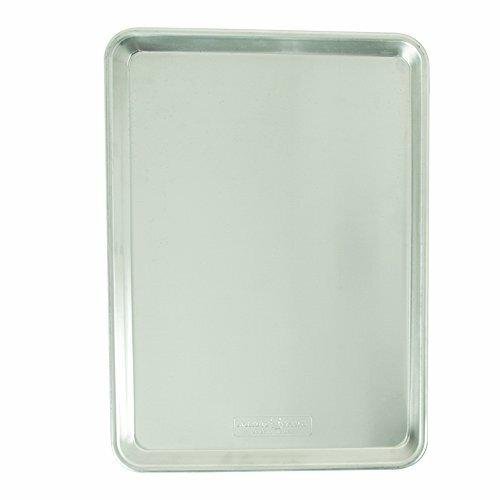 For the even crispier tenders, place a metal rack inside the baking sheet and bake the tenders on top of the rack. 1 Preheat the oven to 350°F. Line a baking sheet with foil and spray with nonstick spray (or brush with oil). 2 Crush the crackers: Place the crackers in a zip-top plastic bag and seal it. Using your hands, a rolling pin, a mallet, or the hands of your children, crush the Goldfish as much as you can, but don't turn them into flour. You want some inconsistencies in shape; it'll make for better texture. 3 Prep the assembly line: Find three medium bowls. Stir together the flour, salt, and pepper in one. Whisk the eggs together in the second bowl. Add the crushed Goldfish crackers to the last one. 4 Bread the chicken: Working with a few pieces of chicken at a time, add to seasoned flour and coat well. Then shake off any extra flour, move to the eggs and coat well, and finally add to crushed Goldfish. Press the Goldfish on so they really stick and form a good crust. Transfer coated chicken to the baking sheet. Repeat until all the chicken tenders are coated. 5 Bake the chicken: Bake chicken tenders for about 20 minutes until they are cooked through, or reach an internal temperature of 165°F in the thickest part of the tenders. You can also test one of the thicker ones by cutting it in half and making sure it’s cooked through. There’s no need to flip these, but you can flip them halfway through if they are browning too much on one side. Serve tenders while warm with a veggie and/or side salad and any dips you want, such as ketchup or bbq sauce. My kids loved honey! You can also make the Dad Add and have a sandwich! You will probably have leftovers, which will keep for 3 to 4 days in the fridge. They reheat perfectly, but they will get soggy if you reheat them in the microwave. Either reheat them gently in a nonstick skillet over low heat until warmed through, or put them on a baking sheet and reheat them until they’re crispy, 7 to 8 minutes. Hello! All photos and content are copyright protected. Please do not use our photos without prior written permission. If you wish to republish this recipe, please rewrite the recipe in your own unique words and link back to Goldfish Chicken Tenders on Simply Recipes. Thank you! I bet my kids would love this – possibly because it is the same color as that boxed mac & cheese we love to hate (and yes, I read your other recipe for Mac & cheese and plan on trying it on my kids soon)! Thanks, keep up the kid friendly options! I kind of want to use the pizza goldfish and then make a sandwich with a little marinara and mozzarella! I LOVE this idea Julie! Good luck! How do you coat the chicken if the eggs are scrambled? Can you use raw egg? Hi, Ryan! Sorry — that instruction was unclear. The eggs aren’t scrambled, they’re just whisked together. I’ve updated the recipe. Thanks!